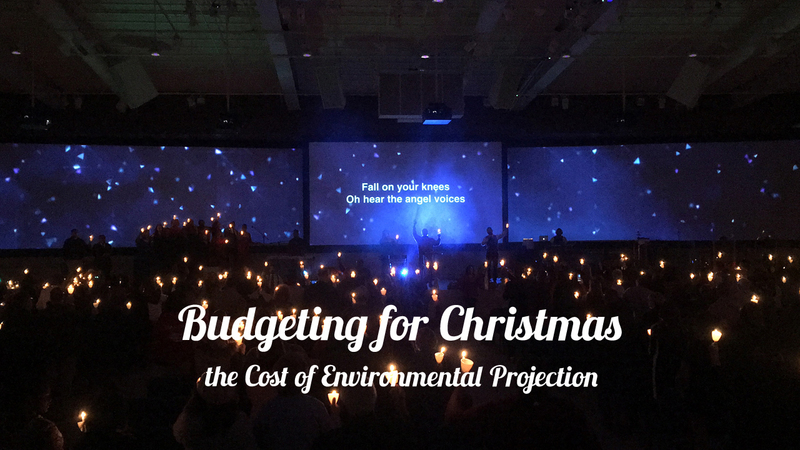 The cost of environmental projection is today’s topics for Transform Christmas. We receive many calls, emails, Facebook messages and more week in and week out asking what it costs to install Environmental Projection (EP). This is a great question that can often be a barrier for a church looking to incorporate EP into their setup. While there isn’t one set price, what we’re going to do here is breakdown the needs, technologies, and x-factors involved in order to help you come up with your cost of environmental projection. If EP is a new concept, then take a look at some great resources we have on the basics of EP. I’m going to touch on some of these points below, but not nearly in the detail that they already exist on our site. To get started in determining the cost of environmental projection, we need something that will allow us to generate or manipulate an image. There are a handful of options when it comes to software. There are three main categories of softwares that you may want to consider. They are Single Window (PowerPoint, Keynote, etc. ), Dual Window (MediaShout, ProPresenter, etc. ), and Multi-Layer Mixing Applications (ProVideoPlayer, Resolume, etc.). When it comes to choosing your projectors for EP, there is one simple goal to be attained. Your setup should look and feel like paint on the walls. While we need to be able to have the images be seen and the impact made, you don’t need it to be as bright as your main screens or an LED wall. So, what do you need? Enough lumens and resolution to overcome the ambient light (light you can’t control-sunlight, house lights, etc.) so the EP can be seen. A good rule of thumb is to consider the brightness of your current projectors. For example, if you have a 5k projector on a 10-15′ screen and you are going to use a projector for EP that is about 3 times that size, you may be able to get away with that same 5K projector. I always recommend folks use the current projectors they own as a means of testing brightness. That way, you can see where you are at without having to go buy a new piece of equipment. There are many options when it comes to multiscreen processing, but the main two that we use and focus on are the DatapathX4 and the TripleHead2Go. Both are good options, with our preference being with the Datapath. You get a lot more functionality, stability, and control over the TripleHead2Go. However, it does come with a larger price tag. 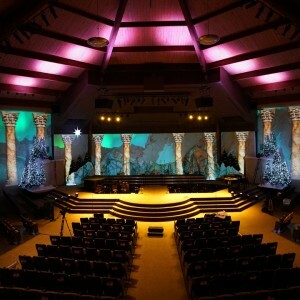 Content for environmental projection is the most important piece of the puzzle. But that’s where TripleWide Media has you covered. We have 15,000 motions, footage, stills, titles, and countdowns to help you craft the perfect environment. The big thing to remember is that size increases speed. What does that mean? It means that movement on a 10′ screen will be enhanced 10 fold on a 100′ wall. Think about the fact that the particle, wave, or other element will be moving across the composition in the same manner regardless of size. 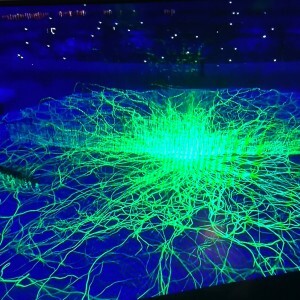 So that floating particle or bokeh will look like a meteor crashing to earth if it’s going to fast. Additionally, side to side motion can be nauseating for some people to watch on EP (similar to the effects of car, sea, or motion sickness.) So be careful in choosing elements for EP. Final cost depends on the quantity that you need. The fifth piece of the puzzle for totaling the cost of environmental projection is training and education. Never stop learning. There is always someone out there that can provide council, advice, improvements, and knowledge to help us create better, more engaging environments. We have a slew of resources here at TripleWide Media to help you get started. But go beyond that, look for conferences, online training courses, and consultation services to help you create amazing environments with EP. Your final budget depends on your choices from above. 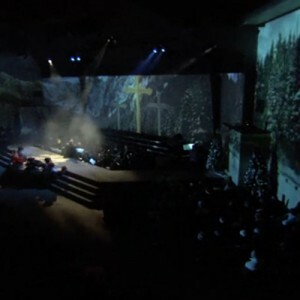 But generally speaking, if you already own a software listed, projectors, and have content…you could look at a simple $400 investment in a TripleHead2Go to get environmental projection setup in your space. 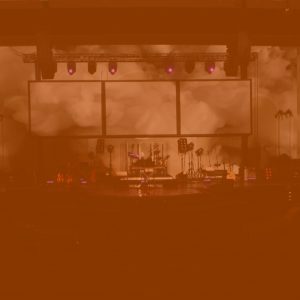 If you are just starting out, building a new space, or have a 5,000 seat room, you could easily spend close to $500,000 to ensure that your setup is done properly. Very few rooms will require that small or large of an investment. We see a majority spending in a $15,000 – $40,000 range with projection, processors, software, content and training. 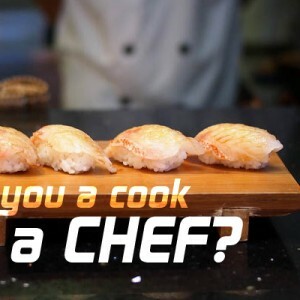 We’d be happy to help you narrow it down. Send us an email with any questions you have!